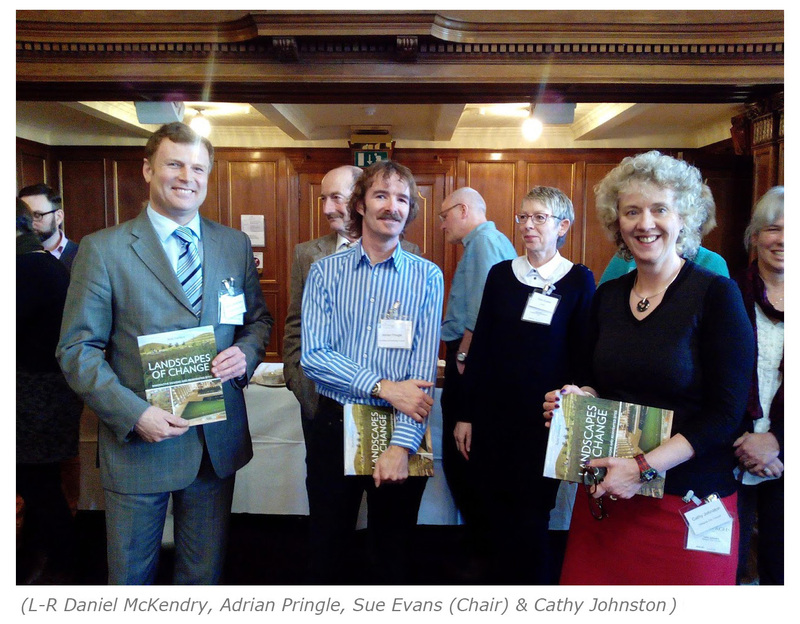 Over 40 participants met at Edinburgh City Chambers on Friday, 27th March 2015 to celebrate the work of Landscape Architects working in Scotland’s public and third sectors. Representatives were drawn from local authorities, national public bodies and environmental organisations and also included a number of members from private practice and students from the University of Edinburgh. The half-day event was organised by the Landscape Institute Scotland and chaired by Sue Evans FLI, Head of Development at the Central Scotland Green Network Trust. The regeneration approaches undertaken by East Renfrewshire Council have ranged from investment led masterplans and community based environmental improvements to the establishment of Business Improvement Districts and sharing of successful approaches between towns. The Neilston Infill Development Strategy is thought to be the first adopted LDP Supplementary Planning Guidance established from a community ‘Charter for Change’ in Scotland. Adrian Pringle CMLI, reflected on the challenges of managing landscape change within one of the best onshore wind resources in Europe in Dumfries and Galloway, where Adrian works as a Landscape Architect within the Planning and Environment Service. Adrian’s advisory work encompasses both small scale wind energy schemes to supplement agricultural incomes and nationally significant energy infrastructure projects. Increases in the height of turbines and power generating capacity and the coalescence of wind farms are leading to wind farm clusters within the landscape and increasing pressures on landscape amenity. The strategic vision for a green network across Glasgow and the Clyde Valley has continued to bear fruit over the last 20 years, including development of the Central Scotland Woodlands Initiative, later the Central Scotland Forest, which today forms part of the Central Scotland Green Network. It has equally laid the framework for the Glasgow Metropolitan Drainage Network, providing cost-effective solutions which improve water and environmental quality and serve the expansion of the City via Glasgow’s Proposed LDP, such as the Gartcosh/Gartloch and Seven Lochs Wetland Park. 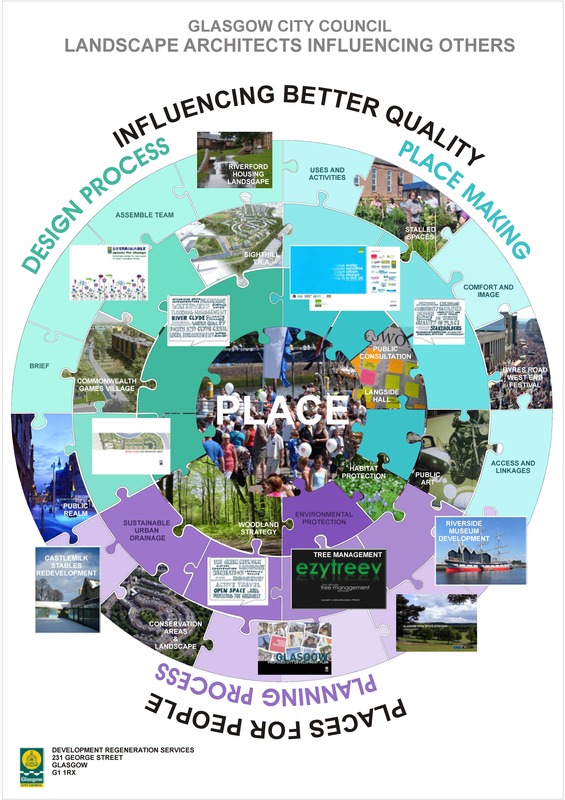 Landscape architects are well placed to continue to influence strategic planning for green networks and think at a landscape scale, which goes beyond local authority boundaries. A list of draft actions to be taken forward by the Landscape Institute, its Scotland Branch and LI Members in Scotland will be considered by the LIS Committee at its meeting on 8 April ready for the LIS AGM on 29 April. These outcomes will also be reported to LI Council. The LIS will shortly be carrying out similar engagement process with members in private practice.